Thurs., April 8, 2019 - EVERYTHING IS BEING MADE NEW! ​The standard of success in life isn't the things. It isn't the money or the stuff. It is absolutely the amount of joy that you feel. 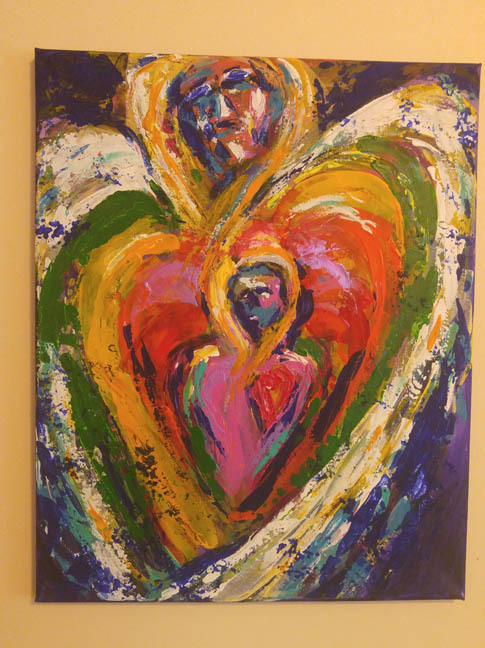 (above) In the Arms of an Angel -16x20 by Dave Annis. This painting with its concentric hearts is to express how supremely we are all loved & cared for by the angels as well as the heavens.. I live in Southgate, Ontario, Canada & so this may be of interest to anyone in the Greater Toronto Area/Peel County & especially near Caledon, but I can design from pictures & some basic measurements. Angelic, spiritual, zen & feng shui, intuitive energy-inspired! Energy assessments, house & property clearings, individual inspiration surveying, intuitive brainstorming, & so many other factors & input channels... Wow, this is going to be awesome! 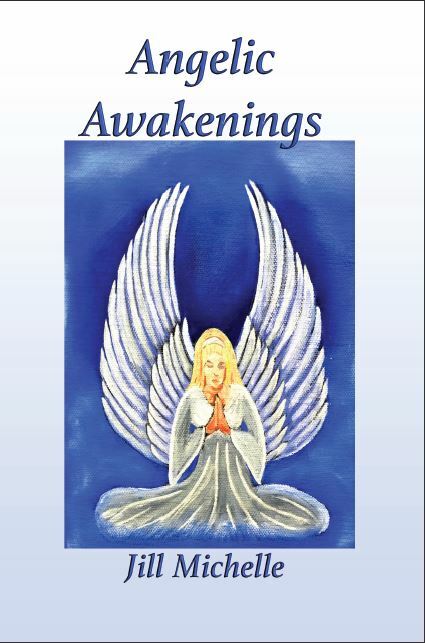 "Your present presence is a present"
ANGELIC AWAKENINGS. This book in my estimation will dramatically help anyone on the path! I generally hate to read, but on first sitting I poured through the first 160 pages without being able to put it down! I couldn't wait to get back into it either. Most books generally put me right to sleep, but not this one. I was so excited because it resonated so strongly with me. I found love & truth in every paragraph & just wanted more! I found the book so easy to read & it is written in such a way as to make you feel really connected & that it is all is available to you the reader. I think my faith & my notions of the limitlessness of God took a quantum leap! I finished reading it in just 2 days & I think I will read it again! ...I guess I'm just addicted to feeling good! ​Site menu top right with fly out menus... lots here!!! ​BEE :) NOW ! Intend in this now moment to bee happy! ​"Live the actual moment. Only this moment is life." ABRAHAM: Many think success means getting everything I want. And we say, that’s what dead is, and there is no such thing as that kind of dead. Success is not being done; not being complete. Success is still dreaming and feeling positive in the unfolding. THE EVENT: An alternative way to look at the event is to see it as happening NOW. We are right in the middle of the "FLASH", but because there is no time in the higher realms, what appears to their perspective as a flash could be a slow motion constant light at this time. Every day could seem lighter & this "flash" portion could last for days-weeks-months or years. 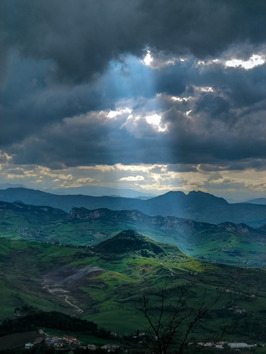 To the higher realms it is but a tiny blip or flash along timelines, while for us it is a slow & steady evolving light that gradually transforms all but may seem to take forever... Whatever resonates with you? It's ALL GOOD! DARE TO DREAM- THEY REALLY REALLY REALLY CAN COME TRUE NOW!! Great news on the doorstep! It's getting to look like a MASSIVE takedown of ALL the key players in the worldwide criminal cabal network is near at hand. It is important & powerful work to envision what you want this new world to look like- unity, love, debt freedom for all, Gaia being freed from environmental chaos, & so much more!! YOU make a HUGE difference with thoughts, prayers & inspired actions-HUGE! Intend on LOVE, PEACE, JOY. Find stillness & space apart from the turmoil of the world. Chose love at every turn...All will be well. Truth will come forth. Do not attempt to convince those who are choosing a vibration of darkness. Feel the guidance of your own heart only. Call on the Angels for assistance. Embrace TRUTH, LOVE, Christ Consciousness - you are safe. IMPORTANT: This info has be known by science & government organizations for decades & is being kept from public knowledge- please pass this info around (the dark side is blocking it from the public so it is up to each of us) . We need to go back to direct cables asap. Remember, you vote with your wallets , awareness & voices. Dream up your sanctuary & it can become manifest !!!! A great overview of the illusion & awakening process - everything is accomplished through love. All will awaken eventually -it is our choice & God's will. * TRY THIS!!! If you haven't started with this video try it- see how your day rolls from there! ..IT'S SO FUN!!! It's what life is all about in so many ways! ... play with the universe. There are no accidents - laughter is a high vibration state that brings health, joy, happiness & it's very contageous! Laughter is an important release of whatever you're carrying - let go! WELCOME TO HARTBRIDGE.ca. Here the journey made public begins- a sharing of our lives in order the help you, the world & ourselves. We were meant to be free, we were, correction ARE meant to be glorious, boundless, creative, ONE. We when got here we forgot all of that, but NOW is the time to climb those mountains in front of us and all around us, noticing every vista and tree along the way. It is a major climb that seems never-ending and that is ok! Together as one climbs ahead and achieves a better perspective from his/her loftier view, they can help us up to that next ledge to experience those new wonders. Join us on this journey. Share with us. This is a place for pure positive energy - the energy of LOVE - the energy of God/Source/the Universe -the energy that IS in everything that is and everything that is not. Come as you are ! There's an urgency & an excitement here. Unlike those who would try to cross their T's & dot there I's perfectly & attempt to have everything absolutely "slick", at Hartbridge.ca that is completely secondary -we forging ahead & simply trying to do our best in that aim, but we know that there is a giant thurst for truth out there in a world that is really hurting. And while Hartbridge.ca is not about focusing on the problems, but rather the solution we are striving to bring you (& ourselves) the great news content as quickly as possible. We present our offering as a work in progress -aren't we all anyway? We never claim to have all the answers, but We do our best & we'll try to make you think in order to stir the creativity that lies in each one of us! At the end of the day we believe that there are NO ACCIDENTS & EVERYTHING HAPPENS IN GOD'S DIVINE TIMING - you are here for a reason & it's for you to have FUN finding out why! It's gonna ROCK when you find out! We have NO JUDGEMENT as to your own path - you need to go where you need to go, but check to see within yourself if your path is leading where you truly want to go & it isn't the ego/spirits/lower energies, "your tribe" telling you where to go -the truth can only be found in the stillness of your heart as you reflect on how things make you feel. You can learn from everybody & these elements come at different times as one evolves - we hope that we can help you be your very very best! The above scripture carries a lot of meaning for me as I have gone through so many tough times for so long. I was caused to search, quite a lot more fervently, as a result. That searching lead me through a myriad of changes & over many stepping stones to learn who God is & perhaps learn who I was/am. I caused me to want to "soar on wings like eagles" that line has stuck with me on so many occassions when I felt like giving up & in times when I was so passionate for God I just hungered for more. I see now that God gave me the gift of needing Him, for without all of the hardships I may have totally missed the boat- I would likely still be trapped in this "3D world" probably unaware there is a God. In a nutshell I have come to "LOVE" in an ever-expanding way & to see the needs so much more. This is the reason ﻿Hartbridge.ca﻿ started.